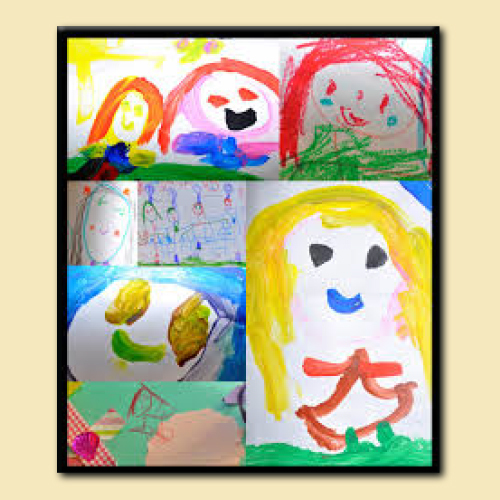 Turn your photos into art treasures! 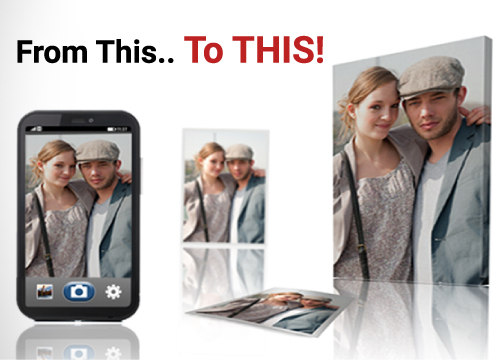 We make it easy to turn your photos into art. 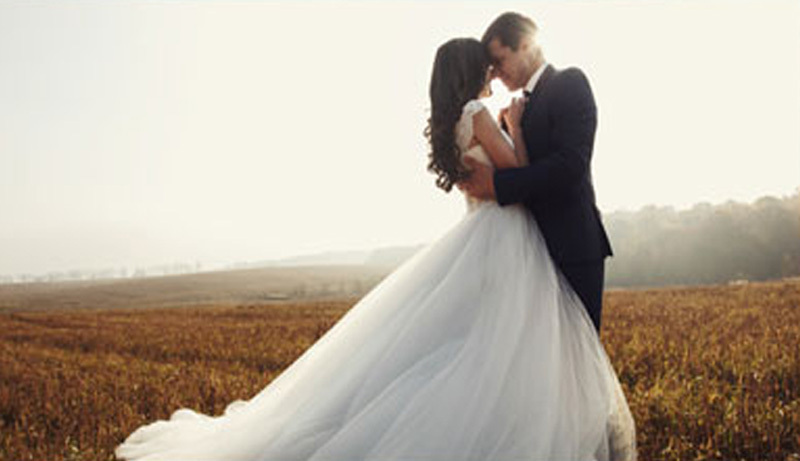 You choose the finishing: digital print, plaque mounts, canvas, acrylic or metal print. Photos, posters, documents & more! We have many mounting options. 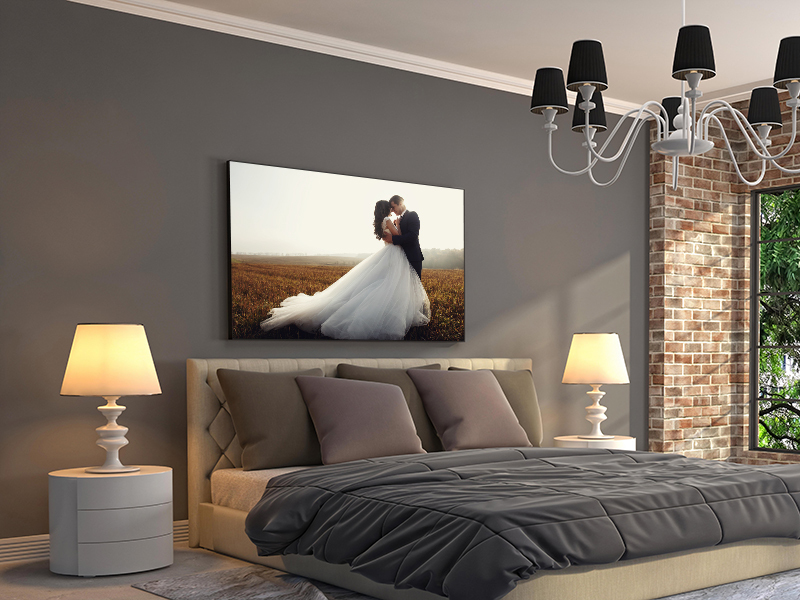 Our plak mounting Wall Décor is simple. You supply the image, digitally or physical print, we’ll do the rest! 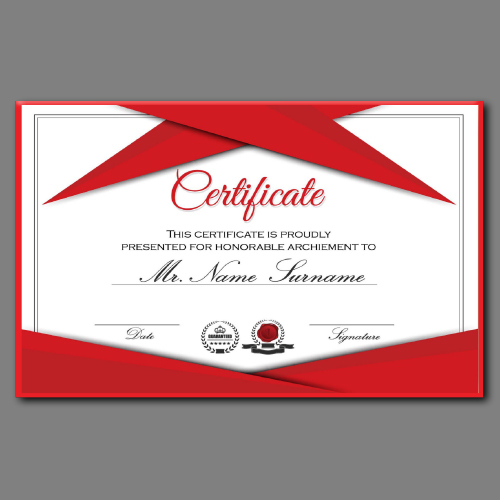 We mount your print or document to a specially-selected custom-cut wood, and laminate it with a non-glare transparent laminate. The pressure applied during this process results in a tough, durable easy-to-clean finish. 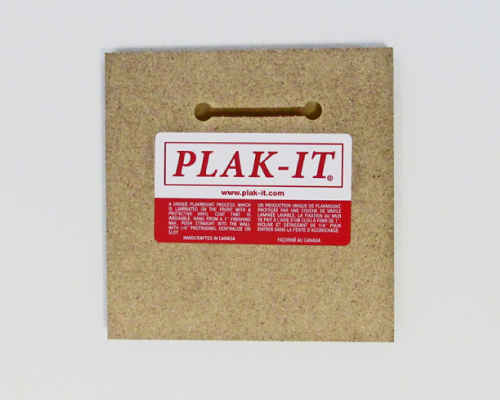 PLAK-IT® plakmounts also come in a variety of edge colours. We put a keyhole slot in the back of the plaque mounted print, making the finished piece ready to hang. Finished pieces are slotted and ready to hang. Adding a matt border to a print is a unique way to dress up your image, much like a framed print that has a matt added before the print is framed. 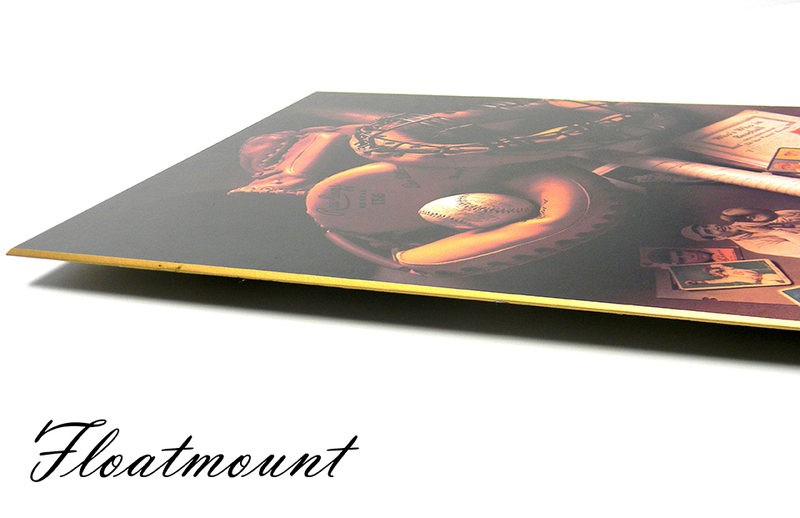 Single, or double matt options are available for your plaque mount matted print and come in 20 different matt colours. 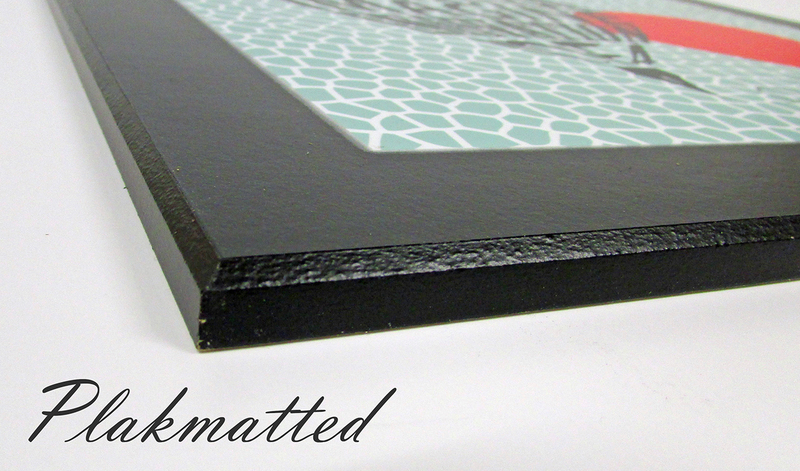 Your double matt acts as a trim around your print like a frame. 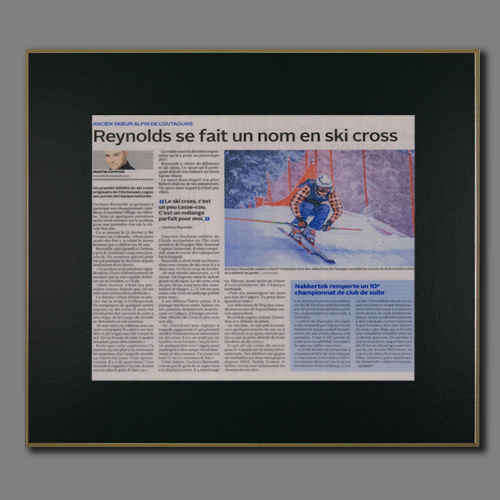 Matt borders can be added to classic Plaque Mounting for Photos and Pictures, Floatmount, Flushmount and Masonite mount products. A single matt, or double matt is added to the image. Then the image, including the matt is protected by a non-glare laminate. Your print is then mounted onto a 3/8” MDF board. A single matt border is 1 ½” around the perimeter of the image. A double matt is 3/16” for the inside border and 1 1/2” for the outside border. Finished borders can be as small as 1/2”, and can be larger, as requested. The edges are then finished using one of a variety of colours and the finished piece is slotted on the back, making it ready to hang. 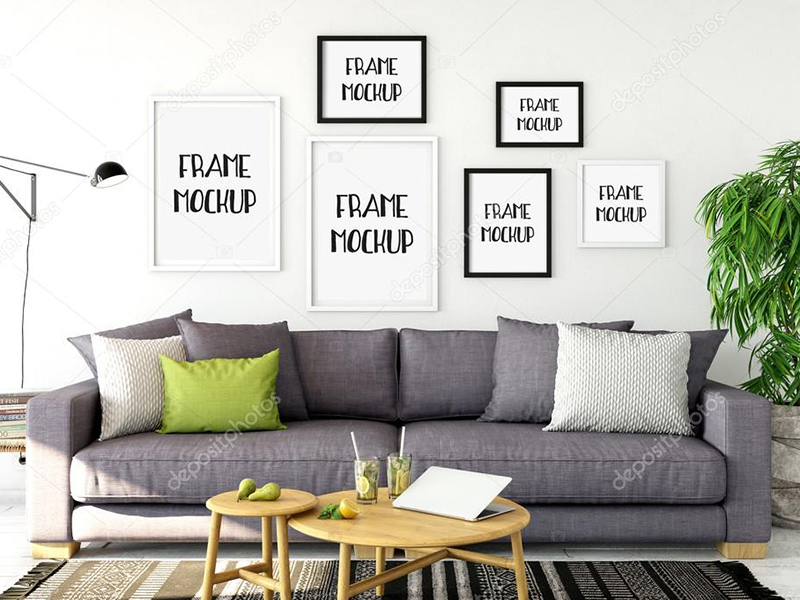 Your print or document is mounted to specially selected wood, which has been custom cut and finished to the image’s specifications for the perfect frameless flushmount. protects the image from fading and scratching, plus makes it easy to clean. The edges are then finished using one of a variety of colours and the finished prints are slotted on the back making them ready to hang. Matted Flushmount prints are also available. Your print or document is mounted to specially selected wood, which has been custom cut and finished to the image’s specifications for the perfect frameless floatmount. 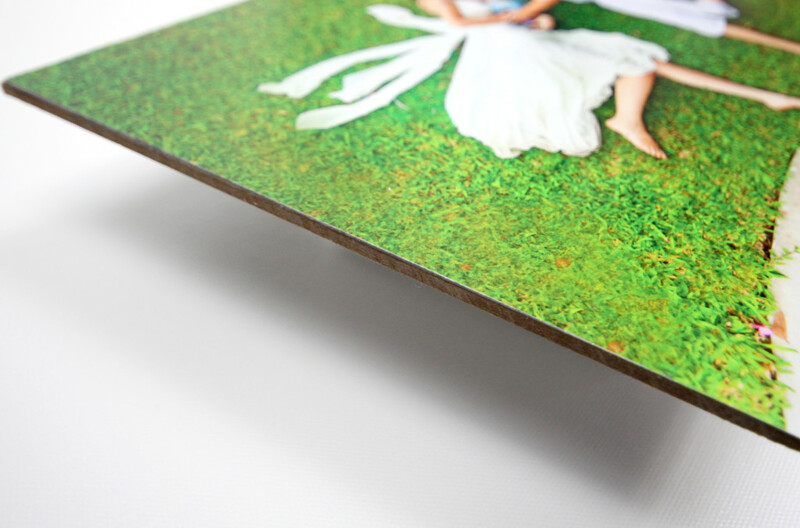 Your print is dry-mounted onto a 1/8” Masonite board. A smaller-sized ¾” wood box frame is mounted onto the back of the masonite board and is placed inset from the outside edges. The surface of the plaque is then completely sealed under heat and pressure with a tough, durable, non-glare transparent laminate. Mounting in this way protects the image from fading and scratching, plus makes it easy to clean. The edges are then finished using one of a variety of colours and the finished prints are slotted on the back making them ready to hang. Matted Floatmount prints are also available. 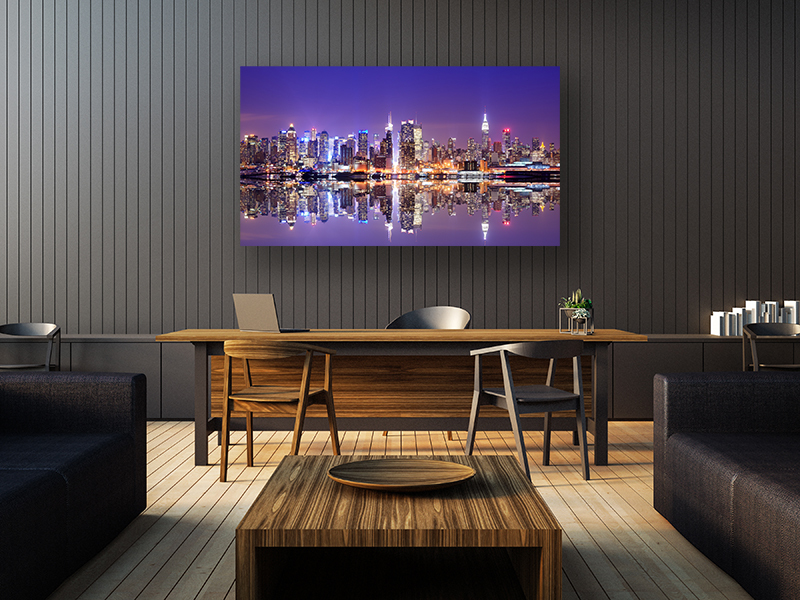 Your print or document is mounted to specially selected wood, which has been custom cut and finished to the image’s specifications for the perfect frameless Masonte Mount. 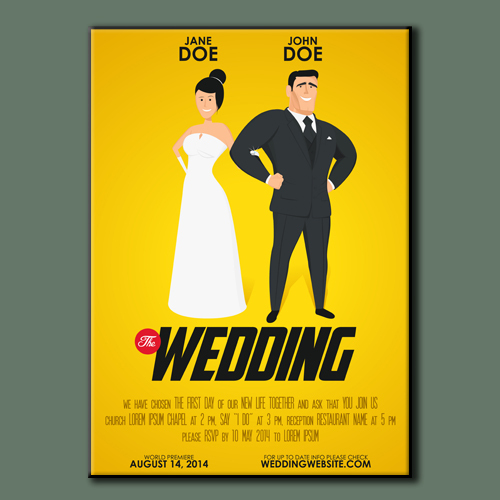 Your print is dry-mounted onto a 1/8” Masonite board. The surface of the plaque is then completely sealed under heat and pressure with a tough, durable, transparent, non-glare laminate. Mounting in this way protects the image from fading and scratching, plus makes it easy to clean. The edges are then finished using one of a variety of colours and the finished prints are slotted on the back making them ready to hang. 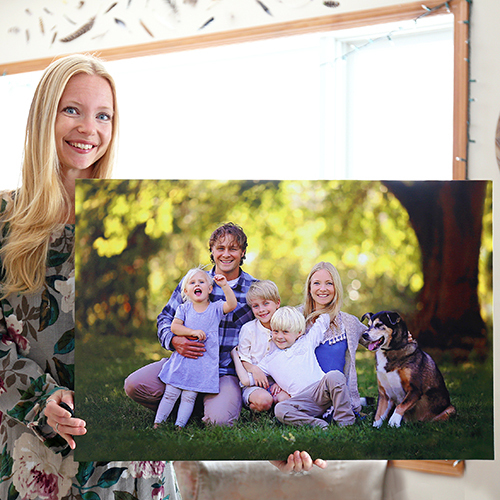 Your print is then mounted onto 3/16” foamcore, then it is protected b a non-glare laminate. The edges of the foamcore are cut square. 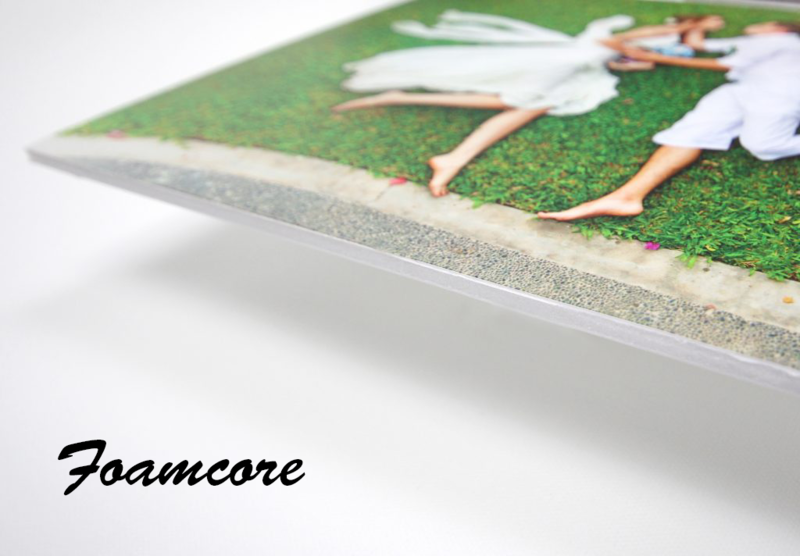 Foamcore, being only 3/16” thick, is thinner and lighter than a Classic Plak Mount giving it a sleeker look. 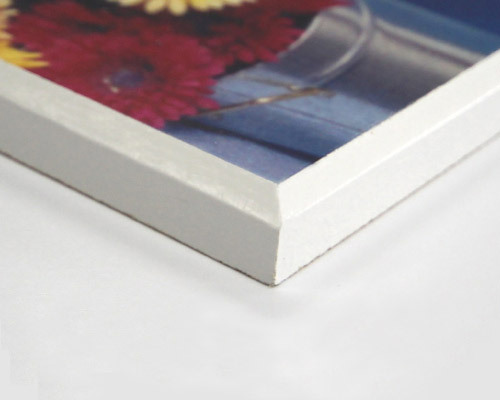 This thickness is also thin enough to fit in a standard frame. 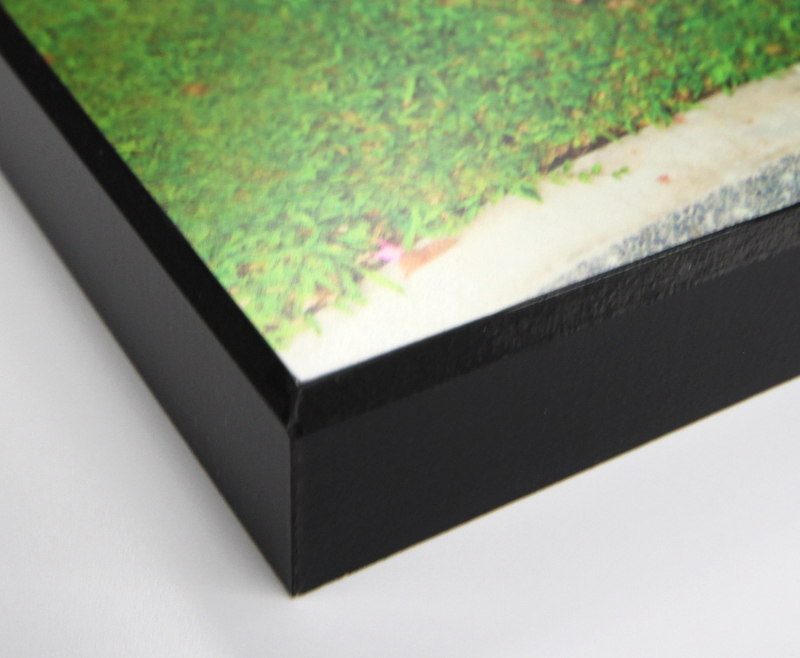 All Plakmount visuals (except masonite and foamcore prints) are finished with a choice of edge colour. 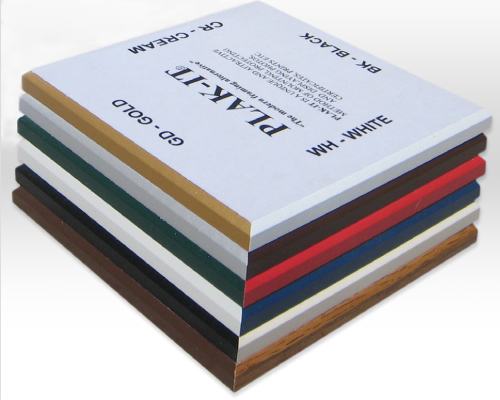 Edge colours are available in 11 different colours and give your visual a true finished appearance. Please note: Additional charges apply for edging on masonite and foamcore products.